For over 100 years, the N.E.L.C. has been working hard to improve our waterways and keep us safe. They represent our membership, with a respected voice, to government agencies and legislators on issues that impact our daily operations. They do this with the help of your input. Fill out this form to send your concerns directly to the committee. On March 1, 2017, N.E.L.C. 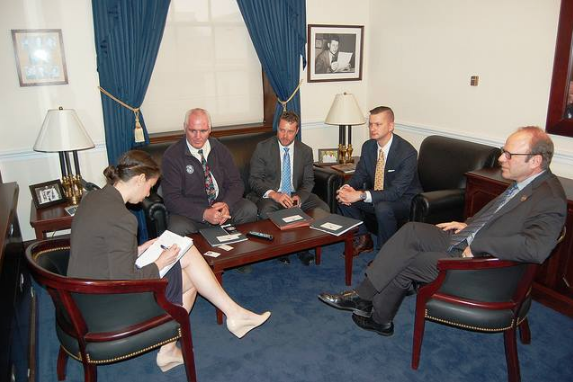 chairman Scott Skrzypczak traveled to Washington D.C. to participate in the 8th annual Congressional Sail-In. The national maritime industry was represented by 110 participants, who conducted 130 meetings with both Senate and House of Representatives members and their staffs. It is through efforts like these that the N.E.L.C. has been able to accomplish so much over the last Century.